• Current research suggests speech and language development actually starts in utero, while listening to the birth mother's voice, coding the rhythm, pitch, cadence, and pattern of her voice. • Newborns are often referred to as "citizens of the world" as they are designed to acquire any language. A newborn starts to sort out and find patterns within the auditory stream of sound, as the brain wants to organize and build connections. • This is innate, as humans are biologically driven to communicate orally. We are hardwired to connect through speech and build relationships, share our environment and experiences. • That's why we use 'parentese' - which is not baby talk (oo es da cootest witto baby in da wold), that is unintelligible and a very poor speech model. Parentese, on the other hand, makes language more intelligible. Parents from all over the world naturally use parentese with infants and babies, and are often unaware of using it - it's part of our hardwired system to communicate. • Parentese is that slower, higher-pitched, overly-exaggerated way of speaking to babies. We open our eyes wider, put on big smiles, and over-enunciate the words we’re saying. It is often sing-songy and stretches out vowel sounds, so that an ‘apple’ becomes an ‘aaaaaapple’ and objects aren’t just ‘big’, they’re ‘biiiiiiig’. • The infant or young baby is coding his natural language, finding patterns, organizing which sounds go together, and discarding those he does not need. 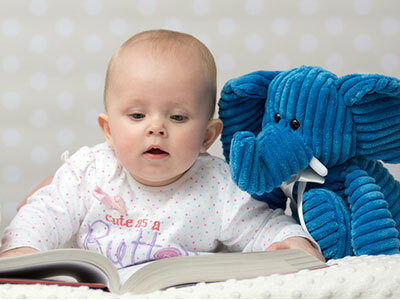 • Speech sounds start long before a baby's first words. The newborn must hear and perceive subtle differences between and across all sounds of your native language. Crying, cooing, vocal play and babbling indicate the baby is communicating, trying sounds out, using different shapes within the mouth, and then ultimately tries to imitate your speech. This takes hundreds and hundreds of waking hours to build up to "his first word." • If an infant or baby is deprived of these experiences, due to possible unknown hearing loss, intermittent middle ear fluid or infection, lack of vocal stimulation by adults, poor sensory-motor feedback, etc. their speech development may be compromised. • Language is the medium used for all other learning. It's what separates us from other primates. Our brains are designed to build neuro-pathways allowing us to process sensory information, especially oral language. • The more a child 'practices' or uses language parts, the stronger and more efficient the pathways become. Our internal knowledge of our native language becomes fluid and automatic, so that by the age of three we can hold a conversation with ease, be understood 95% of the time, and recall a promise a parent made several days ago. Although some children seem to 'chat' more than others, the general expectations are similar across all children, boys and girls alike. See Resources for Developmental Milestones at each age level. • It is this strong foundation of oral language processing that sets the stage for 'breaking the code' necessary for reading and writing - which are not natural. Literacy is a man-made skill, and needs to be explicitly taught, practiced and developed. Some children appear to need less direct instruction, which suggests a strong oral language system. • Language-based learning problems may be identified or 'labeled' as dyslexia or dysgraphia, poor spelling or a math disability. However, frequently the underlying cause is a weak oral language processing system - which unfortunately goes unrecognized or misunderstood. • Early reading starts with a strong and efficient oral language foundation. Phonological awareness and Phonemic Awareness are critical pieces to building the auditory pathway and start before the black shapes on a page are identified as letters. • Phonemic awareness refers to the specific ability to focus on and manipulate individual sounds (phonemes) in spoken words. Phonemes are the smallest units comprising spoken language. Phonemes combine to form syllables and words. For example, the word 'mat' has three phonemes: /m/ /a/ /t/. • There are 44 phonemes in the English language, including sounds represented by letter combinations such as /th/. *Remember there are only 26 letters in the alphabet, which make up these 44 sounds (phonemes) in our English language. • Acquiring phonemic awareness is important because it is the foundation for spelling and word recognition skills. Phonemic awareness is one of the best predictors of how well children will learn to read during the first two years of school instruction. • Students at risk for reading difficulty often have lower levels of phonological awareness and phonemic awareness than do their classmates. The good news is that phonemic awareness and phonological awareness can be developed through a number of activities. Successful decoding occurs when a student uses his or her knowledge of letter-sound relationships to accurately read a word. Phonics is the understanding that there is a predictable relationship between the sounds of spoken language and the letters and spellings that represent those sounds in written language. All of this is superimposed onto our oral language structures. 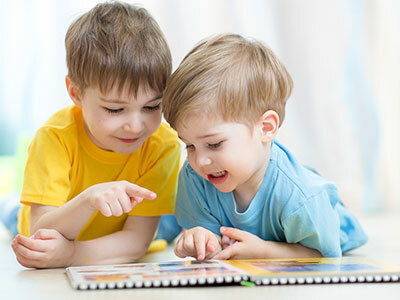 In other words, before a child starts to associate sounds and letters, he must have enough experience with sounds within words (rhyming, matching sounds), begin to segment and blend those patterns auditorily. For example, how many sounds do you hear in /cat/ and what do these sounds say, /t-a-p/? If a child, no matter what his age, struggles with decoding, then reading fluency and comprehension are at-risk. When too much energy is spent trying to sound out words, there is little left to appreciate the written text or understand and recall details. 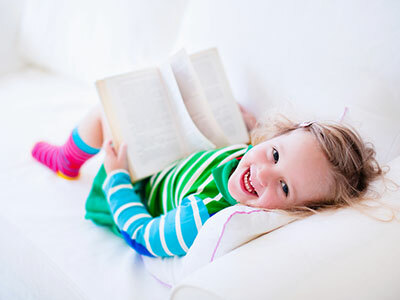 Your child may read word-by-word, have little expression, disregard punctuation, skip over words or lines, which all compromise his reading comprehension.